1 Five days later the high priest Ananias came down with some elders and an advocate, a certain Tertullus, and they presented formal charges against Paul to the governor. 3 we acknowledge this in every way and everywhere, most excellent Felix, with all gratitude. 4 But in order not to detain you further, I ask you to give us a brief hearing with your customary graciousness. 6 He even tried to desecrate our temple, but we arrested him. 9 The Jews also joined in the attack and asserted that these things were so. 10 3 Then the governor motioned to him to speak and Paul replied, “I know that you have been a judge over this nation for many years and so I am pleased to make my defense before you. 11 As you can verify, not more than twelve days have passed since I went up to Jerusalem to worship. 12 Neither in the temple, nor in the synagogues, nor anywhere in the city did they find me arguing with anyone or instigating a riot among the people. 13 Nor can they prove to you the accusations they are now making against me. 14 But this I do admit to you, that according to the Way, which they call a sect, I worship the God of our ancestors and I believe everything that is in accordance with the law and written in the prophets. 15 I have the same hope in God as they themselves have that there will be a resurrection of the righteous and the unrighteous. 16 Because of this, I always strive to keep my conscience clear before God and man. 17 After many years, I came to bring alms for my nation and offerings. 18 While I was so engaged, they found me, after my purification, in the temple without a crowd or disturbance. 23 He gave orders to the centurion that he should be kept in custody but have some liberty, and that he should not prevent any of his friends from caring for his needs. 24 4 Several days later Felix came with his wife Drusilla, who was Jewish. He had Paul summoned and listened to him speak about faith in Christ Jesus. 26 At the same time he hoped that a bribe would be offered him by Paul, and so he sent for him very often and conversed with him. 1  Nazoreans: that is, followers of Jesus of Nazareth. 3 [10-21] Whereas the advocate Tertullus referred to Paul’s activities on his missionary journeys, the apostle narrowed the charges down to the riot connected with the incident in the temple (see ⇒ Acts 21:27-30; ⇒ 24:17-20). 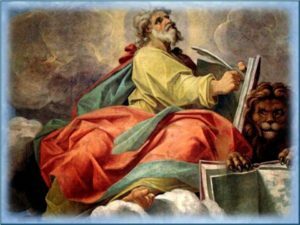 In his defense, Paul stresses the continuity between Christianity and Judaism. 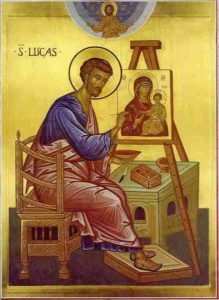 4 [24,25] The way of Christian discipleship greatly disquiets Felix, who has entered into an adulterous marriage with Drusilla, daughter of Herod Agrippa I. This marriage provides the background for the topics Paul speaks about and about which Felix does not want to hear. 5  Very little is known of Porcius Festus who was a procurator of Judea from A.D. 60 to 62.